Welsh National Opera's Autumn Season to coincide with the anniversary of Shakespeare's death features a profoundly poignant new version of The Merchant of Venice, composed by a Holocaust survivor. 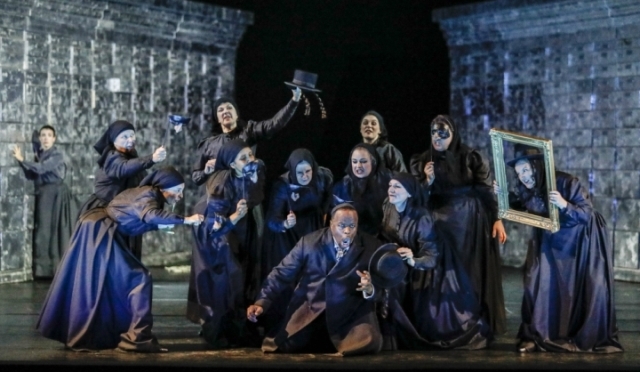 The Birmingham premiere of André Tchaikowsky's The Merchant of Venice is one of a trio of Shakespeare based productions from the Welsh National Opera (WNO) as it joins in Shakespeare400 - large scale national celebrations to mark 400 years since William Shakespeare's death. There are three operas based on very contrasting works inspired Shakespeare at Birmingham Hippodrome from November 8 to 12. These will be the premiere of The Merchant of Venice plus new productions of Verdi's opera Macbeth and the fun Cole Porter musical Kiss Me Kate, based on The Taming of the Shrew. First up is The Merchant Of Venice, performed in Birmingham on November 8. The story of a Jewish businessman who responds to racism in an extreme way, by demanding a pound of flesh for a debt, is particularly meaningful as it was composed by André Tchaikowsky. He was a Polish-Jewish composer and pianist who died very shortly after creating this opera. Tchaikowsky was smuggled out of the Warsaw ghetto with false identity papers and survived the Holocaust in hiding with his grandmother and has made this version of The Merchant of Venice a powerful and serious attack on prejudice. Baritone Quentin Hayes will sing the role of Shylock while soprano Lauren Michelle, who won a prize at BBC Cardiff Singer of the World in 2015, makes her UK debut with WNO in the role of Jessica. Directing this opera is Keith Warner, who returns to WNO following the premiere of Peter Pan in 2015. Verdi's classic Macbeth follows on November 9 with the dramatic tale of state violence, corruption and superstition transported into a contemporary setting. The opera is a co-production with Northern Ireland Opera (NIO) and directed by the NIO's Artistic Director Oliver Mears. 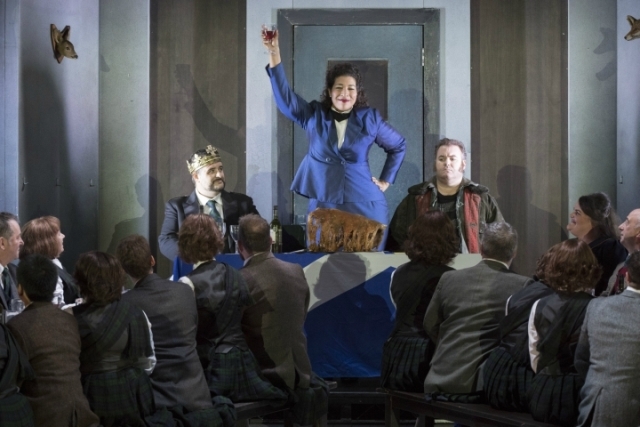 It features Spanish baritone Luis Cansino singing the title role in his debut performance with WNO, while Miriam Murphy singing Lady Macbeth. Following on from WNO's hugely successful version of musical Sweeney Todd, the opera company completes the Autumn season with another musical. This time it is Cole Porter's classic musical Kiss Me, Kate in a collaboration with Opera North. Performed in Birmingham from November 10 to 12, the show features showstopping songs Too Darn Hot, Brush Up Your Shakespeare and Another Op'nin Another Show. The story is set around their tempestuous relationship of an actress and her ex-husband as they prepare to stage a musical version of The Taming of the Shrew. Kiss Me, Kate is a love story full of wit, humour and farce with a cast led by Jeni Bern as Lilli Vanessi/Katharine and Quirijn de Lang as her ex-husband Fred Graham/Petruchio, both of whom starred in this production in 2015 at Opera North. 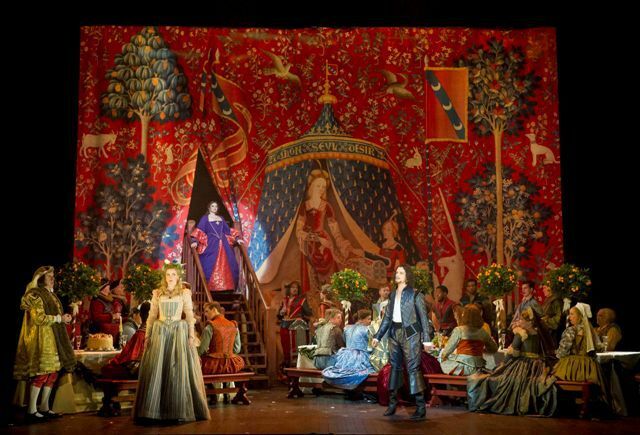 The WNO has promised spectacular costumes and dazzling choreography for this musical. WNO Artistic Director David Pountney says: "Music is everywhere in Shakespeare, from the fools and clowns whose songs pepper his works, to the sublime musicality of his use of language. 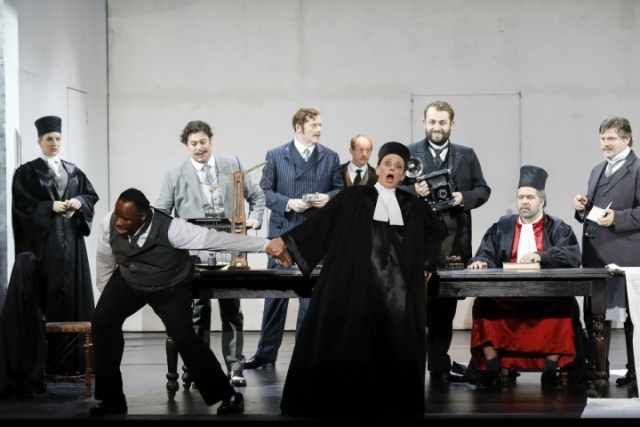 It is hardly surprising that he has inspired so much music, and in this wonderfully diverse season you can enjoy him as tragedian, psychologist and witty entertainer." The WNO is also hosting youth and community events at schools in Birmingham to coincide with the Autumn season. The Digital Teach Project will consist of various workshops within local schools including The Rookery and Anglesey Primary Schools and will be aimed at pupils Years 4, 5 and 6. The children will look at the themes and story of Kiss Me, Kate and create a short animated film along with an underscore, which they will then be able to watch at a screening event at a later date. The project aims to encourage digital literacy, creativity, cultural and social understanding and effective communication amongst other objectives. For tickets, visit the Welsh National Opera website or the Birmingham Hippodrome website or call 0844 338 5000.